NEW YORK, April 9, 2018 – Baird, an employee-owned, international financial services firm, today announced that Brett Skolnik has joined the firm's Global Investment Banking business as a Managing Director on its Global Healthcare team. Skolnik will cover healthcare facilities and alternate site providers, with a focus on multi-site physician and other provider groups, behavioral health and post-acute care. He will work closely with Baird’s broader Healthcare Services team and be based in the firm’s New York City office. 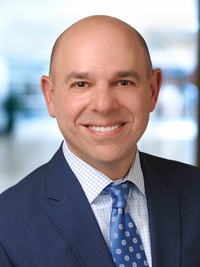 Skolnik joins Baird from BMO Capital Markets where he served as Managing Director, responsible for the firm's healthcare M&A practice. Prior to BMO, Skolnik served as CFO of a private specialty pharmaceutical company and held healthcare and M&A related investment banking positions at Piper Jaffray, Cowen, PaineWebber and Kidder, Peabody & Co. Skolnik earned a bachelor’s degree in mechanical engineering from Lehigh University as well as an MBA from Columbia Business School at Columbia University. "Brett is a great addition to our Global Healthcare Investment Banking practice and we are thrilled to have Brett continue his career at Baird," said Brian Doyal, Co-Head of Baird Global Investment Banking Group. "His industry experience, deep knowledge of the healthcare provider landscape and strong M&A skill set will help us continue to expand our coverage of the Healthcare Services sector." Skolnik added: "Baird's Global Healthcare team has an exceptional track record of delivering successful outcomes for clients. I look forward to further building Baird's healthcare platform in the healthcare services provider sector and working with this hardworking team to continue delivering the best outcomes for our clients." Experience advising public and private companies and private equity sponsors on healthcare M&A transactions worth $9.2 billion in aggregate since 2015. Baird's overall Global Investment Banking business also continues to grow and in 2017 achieved its fifth consecutive year of record revenues. Baird is a leading global investment bank focused on the middle market. Over 300 investment banking professionals in the U.S., Europe and Asia provide corporations, entrepreneurs, private equity and venture capital firms with in-depth market knowledge and extensive experience in sell-side and buy-side M&A, debt advisory and equity financing transactions. Since 2013, Baird has completed nearly 420 advisory transactions representing more than $115 billion in transaction value and 514 financings raising more than $138 billion. Committed to being a great place to work, Baird ranked No. 12 on FORTUNE's 100 Best Companies to Work For in 2018 – its 15th consecutive year on the list. Baird is an employee-owned, international wealth management, capital markets, private equity and asset management firm with offices in the United States, Europe and Asia. Established in 1919, Baird has approximately 3,500 associates serving the needs of individual, corporate, institutional and municipal clients. Baird has more than $200 billion in client assets as of Dec. 31, 2017. Committed to being a great place to work, Baird ranked No. 12 on FORTUNE’s 100 Best Companies to Work For in 2018 – its 15th consecutive year on the list. Baird is the marketing name of Baird Financial Group. Baird’s principal operating subsidiaries are Robert W. Baird & Co. Incorporated in the United States and Robert W. Baird Group Ltd. in Europe. Baird also has an operating subsidiary in Asia supporting Baird's investment banking and private equity operations. For more information, please visit Baird's Web site at www.rwbaird.com.